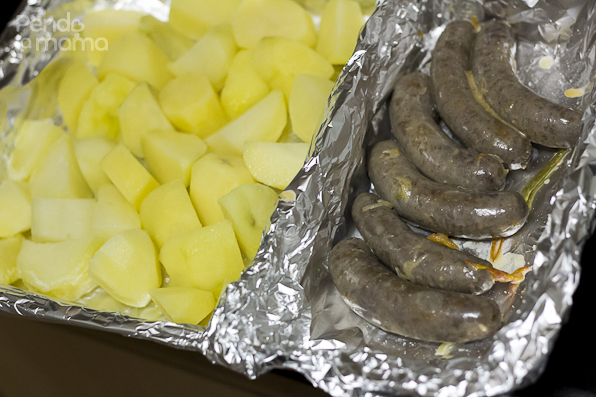 Today’s post is a simple dish, sausages and potatoes. 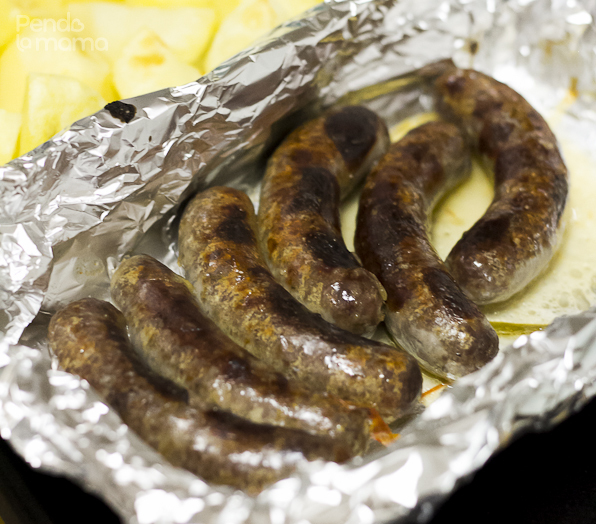 You can never go wrong with sausages. Start with potatoes, peal and cut into quarters and put in a pot with some water, add salt, boil until half cooked or almost done, but not so soft that they’re faling apart. Drain and set aside. 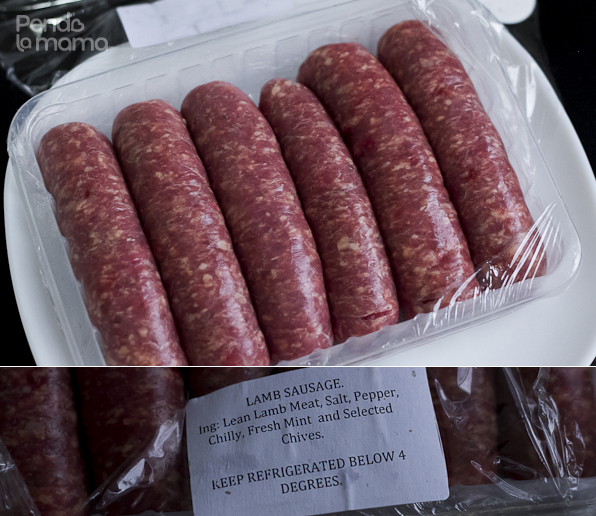 I got these from the butchery inside the supermarket, I know, crazy! Their prices are ridiculous. But I didn’t get a chance to go to City Market that weekend and I was running out of meat (-_-) This was the cheapest thing I could find, and a rack or ribs. 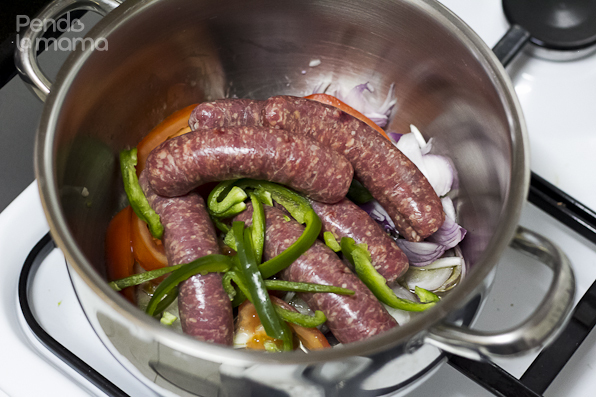 I want to make a sauce that will have the flavour of the sausages so I put them all in the pot with 1 sliced onion, sliced 1/2 green pepper, and slices of 1 tomato and 3 tablespoons of olive oil. No salt. 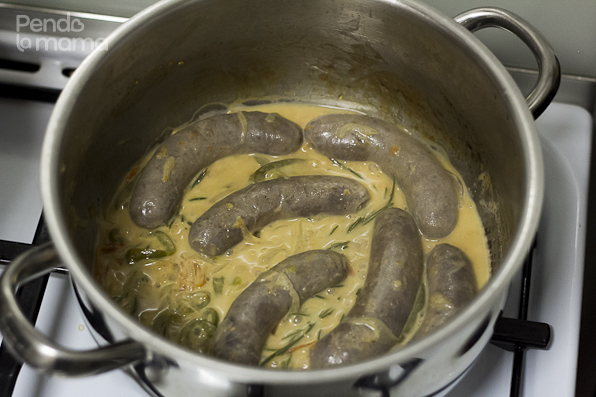 The sauce is done. 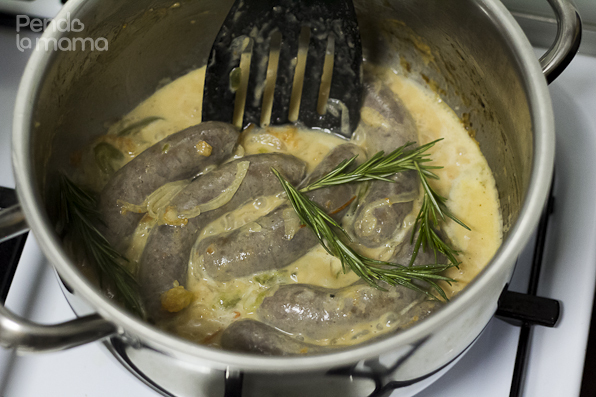 Pull out the sausages and place them in their section in the prepared baking dish, taste the sauce for salt. Add some if it needs any. 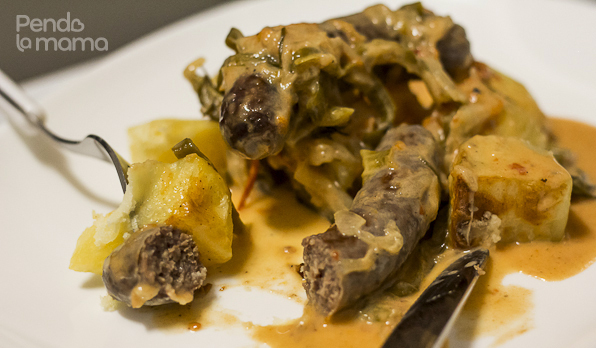 The reason I din’t put any salt in the beginning since sausages tend to have more than enough salt, wanted to wait till the end to add just to the sauce, otherwise the sausages would be too salty. 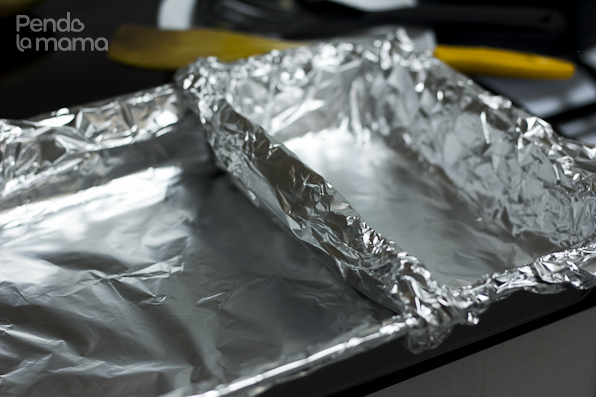 add the half cooked potatoes to the other side of the baking dish and place in the oven. Set the oven to 180°C, in grill mode. Place the pan close to the top, but not too close, the second position down from the top should be good. 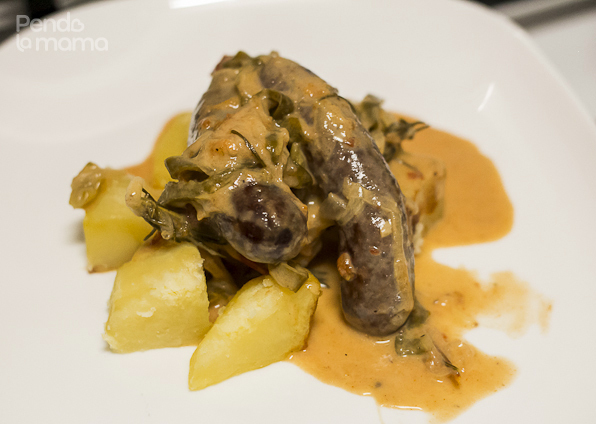 When everything is golden, serve the potatoes and sausages and spoon the sauce on top. is that white sauce?! you know I don’t like white sauce! It will not taste anything like white sauce, just try it! Babe! listen, just forget the colour for a minute and taste it! While I was still serving my plate (less than two minutes later), he comes back to the kitchen and drenches his potatoes in the sauce!! No, I didn’t say “I told you so! !” But I wanted to. Really, really wanted to.